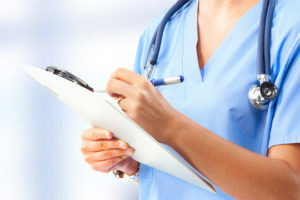 Healthjobs.co.uk is a jobs board that lists vacancies in health and medicine. We also provide some information on university courses and career advice. Our site is used by hospitals, surgeries, biomedical organisations and recruitment agencies. Using healthjobs.co.uk means jobseekers can easily browse and apply for positions on their computer, phone or tablet. Summary: Created in 2008, Niche Jobs LTd founded three different Healthcare related job boards in England and one in Ireland. Socialcare is a national specialist job board for social workers. The page layout is particularly attractive but the social media hasn’t been updated for a while (on Facebook, there are no updates since September for the 741 followers; no updates since August for the 189 Twitter followers and there are 19 followers on Linkedin). The visibility is not verifiable. All four job boards have a pinkish colour scheme and similar logos. The design for all four websites is also the same. Design: The first image you see on the homepage is of a smiling man, holding a pencil, looking to his left. As you scroll down the page, large images are featured for each new section. It aims to show how “people orientated” the website is, which makes sense for a healthcare job board. To access the jobs, you can use the search engine (keywords and location), the grid of categories, the recommended jobs or the company listing (in alphabetical order). In fact, you can choose to see only direct employers or only recruitment agencies (there are twice as many recruiters as direct employers). The information for each job offer is clear and the filter (the sector, location, job level, job type and hours) help find exactly what you want. Featured job offers appear in pink, expiry dates are visible once a job offer has been opened and similar jobs appear at the bottom. As for the company pages, there is a description of the company, a logo and job offers. The job board objective: The idea is to put English (or Irish) jobseekers in contact with the right medical jobs. The job offers: There are 2 399 job offers, which is about 900 more job offers more than they had in July. Health care jobs are by far the most popular. Login here for FREE to unlock access to the traffic audience, content and pricing section for more information on Healthjobs.co.uk.